Steel Battalion Heavy Armor 360 Review. I really wanted to give this game chance but unfortunately it defeated me quite early on which is a shame. 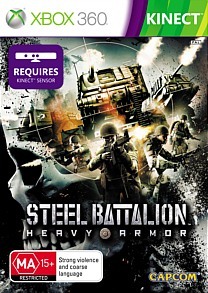 Developed by From Software, Steel Battalion: Heavy Armor is a Kinect game that tries to move away from the repetitive mini-games and gives the seasoned gamer a more adult orientated experience with this unique control system for the XBox 360. Unfortunately as with most Kinect games, this title was tainted from the conception which creates a rather mediocre gaming experience, especially for the intended audience of this title. Frustration sums it up perfectly! The game itself is set in the distant future (2080 A.D.) where mankind has been decimated and technology has almost all been destroyed. As the pre-existing superpowers struggle for control, players are inundated into the role of Sgt. Powers, a pilot of a VT (Vertical Tank) who attempts to liberate his country from the Chinese. Although the VT sounds a little boring... it's actually a Mech opposed to a tank which gets extra points! As you control these powerful machines, you will soon find yourself engaged in a variety of skirmishes across the globe and even though the AI is quite slow, the control system will generally be the cause of your untimely death. As this game is a Kinect only title, the player needs to perform a wide variety of manoeuvres and gestures to control the VT. 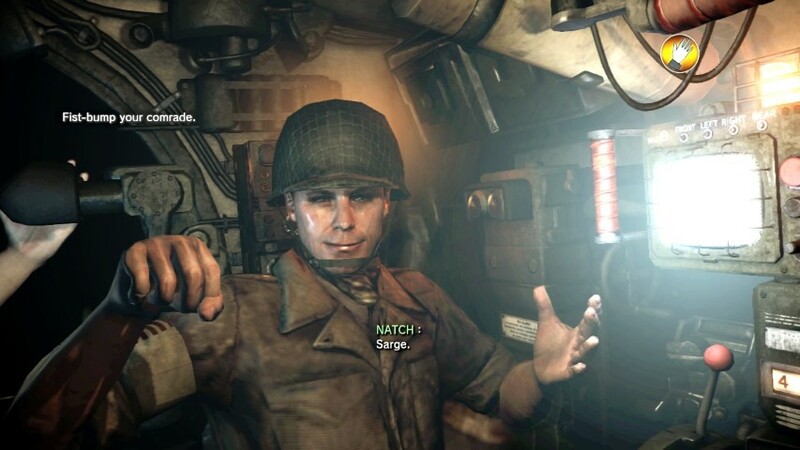 This means the Kinect reads your upper body to mimic what is happening in the game such as starting the engine of the VT or using turrets to obliterate your enemies. 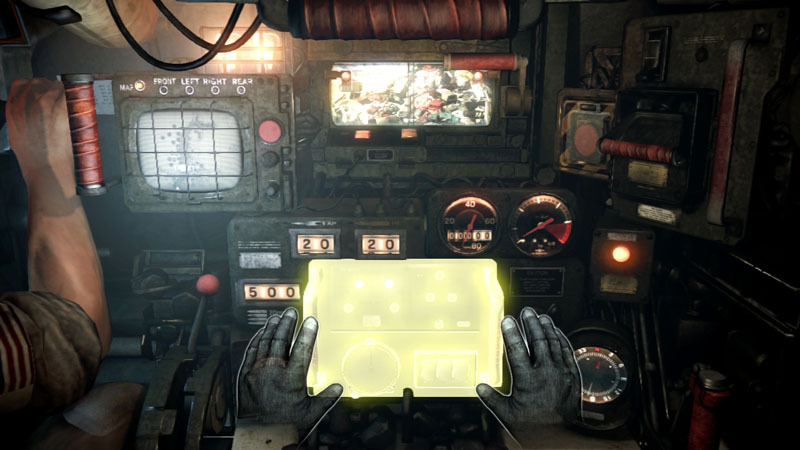 For example by moving your arm up, it will load the periscope and you navigate the cockpit by swiping or moving levers. Inside your VT, you also have team mates that once again uses the Kinect technology to interact. Unfortunately what would have looked awesome on paper fails in the real world which once again highlights the flaws of the Kinect system. Controllerless games are unfortunately a myth and unless Microsoft address these issues, I'm really hoping that the Kinect goes the way of the dodo because no matter how hard the developers try, it just ends up being clunky and unresponsive. Steel Battalion: Heavy Armor is regrettably another one of those games. Then you have the Kinect setup. If you don't have the right environment setup in your home, the already clunky experience can be severely hampered, especially if you have poor lighting and opposed to controller rage, you'll be throwing your XBox 360 through your flat screen TV. The redeeming feature of the game is sitting in front of your 360 and even though it also feels a little funny, it's quite cool as you sit in front of your XBox 360 and manipulate the cabin of the VT like Tom Cruise from Minority Report, controlling all facets of this machinery. However, this becomes a tricky prospect when things start to heat up because of the poor responsiveness of the Kinect controls. I swear that I had the perfect setup for Kinect, large room with vibrant lighting but even so, as I was trying to control the VT's, things were beginning to fall apart real fast. More so when the Kinect decides to do the total opposite of what you tried to choose which increases the frustration levels of the player tenfold. The first person shooter view is far more superior, however once again it still suffers from the clunkiness of the Kinect. Even when you're totally careful with how you use your upper body to control the VT's, your perfect fun is generally dashed by one small inconsistency. 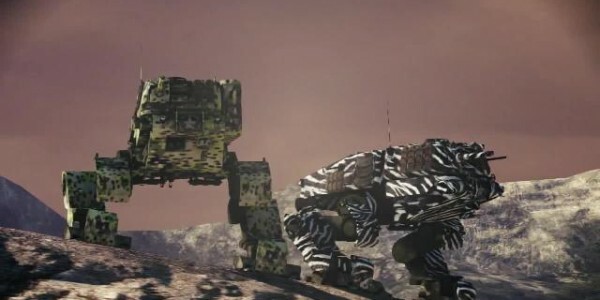 As combat plays an integral part to Steel Battalion: Heavy Armor and if the Kinect controls worked flawlessly, this game would have been a blast as you fought your enemies. To make matters worse, checkpoints between deaths are far too long which makes it an effort to continue. Perhaps if the developers dumb downed the controls or made it voice controls only, it would have been a far superior game that what is the end result, especially with the good graphics, musical score and the larger than life sound effects. I really wanted to give this game chance but unfortunately it defeated me quite early on which is a shame.